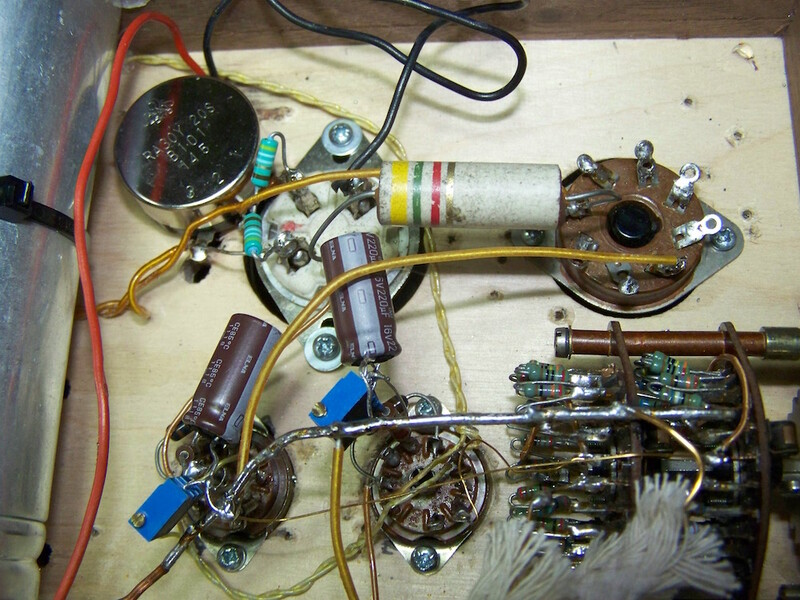 A fun project with very good sonics, too good to let this go by without a description..
All this came to mind when a pair AudioNote output transformers found their way to me. These are from the good era, being the nineties thus manufactured in Japan. 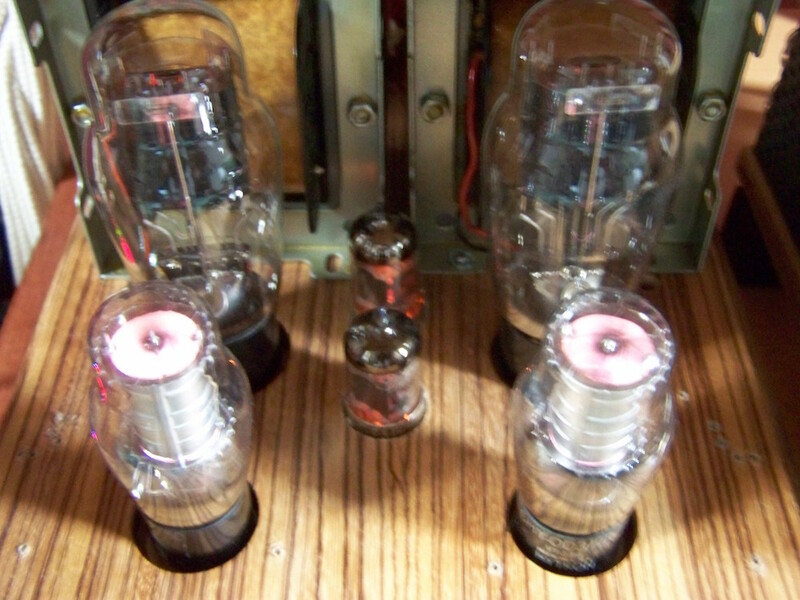 The impedance is 2K5 with 8 and 16ohms secondaries. 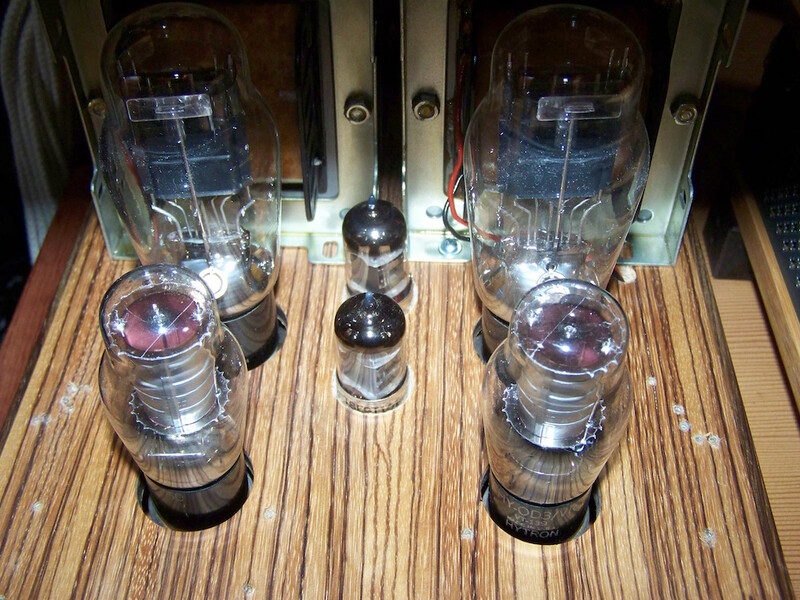 To be able to judge their soundquality a powertriode with a lower than 750ohm internal resistance is necessary. The only amplifier at hand with a powertriode that accepts a 2K5 load is the Psvane WE275A amplifier with an inerstage coupled 7788 as driver. Adapting the WE275A to the neccesary working point resulted in a too high voltage current demand than the Vlaartronic power transformer will (silently) handle. Yes, I tried it for a few hours while the transformer was protestingly humming and getter hotter and hotter.. Long enough though to hear that these AudioNotes are really good. So up with the change to the diagram to be able to listen some more without a buzzing noise on the chassis. 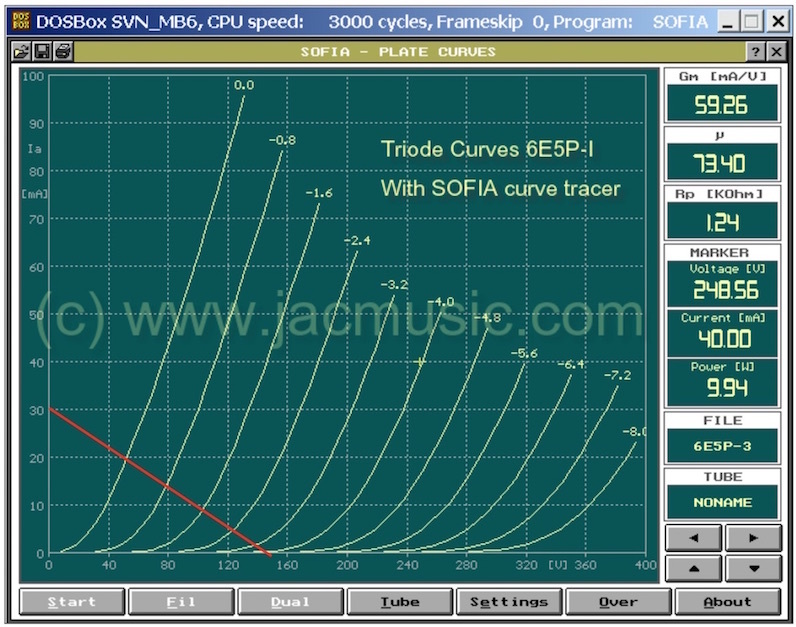 Maximum of 50 mA B+ per channel? 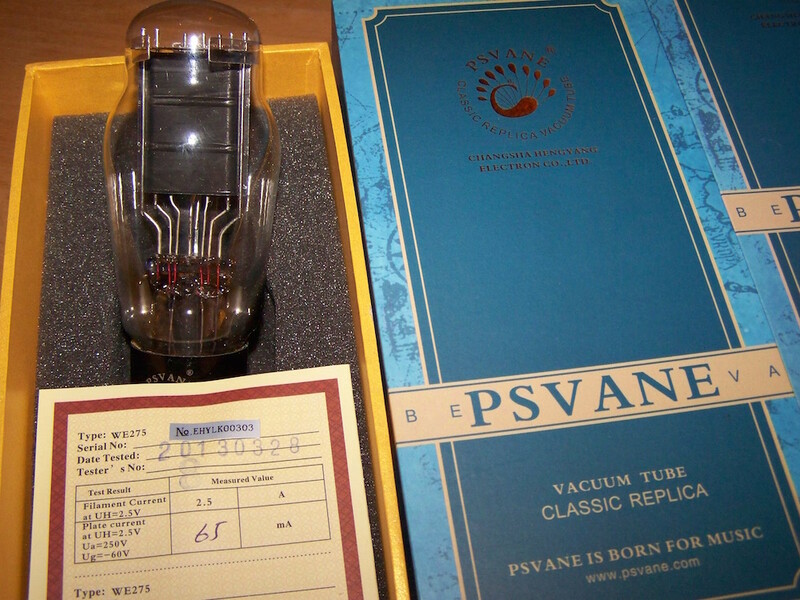 The old design uses a 7788 in triode with a plate current of 20mA which was clearly too much. 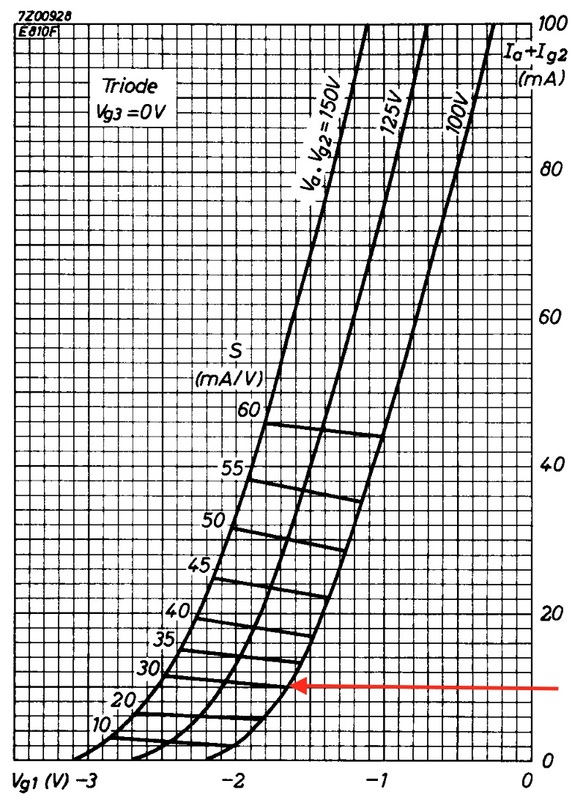 Well, interestingly, the old Western Electric datasheet showed that a 35mA plate current would be sufficient to deliver about 1.8 Watt using a 2K5 load. That would leave about 15mA for the driver. Except when going for a "monkey" or "free lunch" topology.. (just do a search if these do not sound familiar). 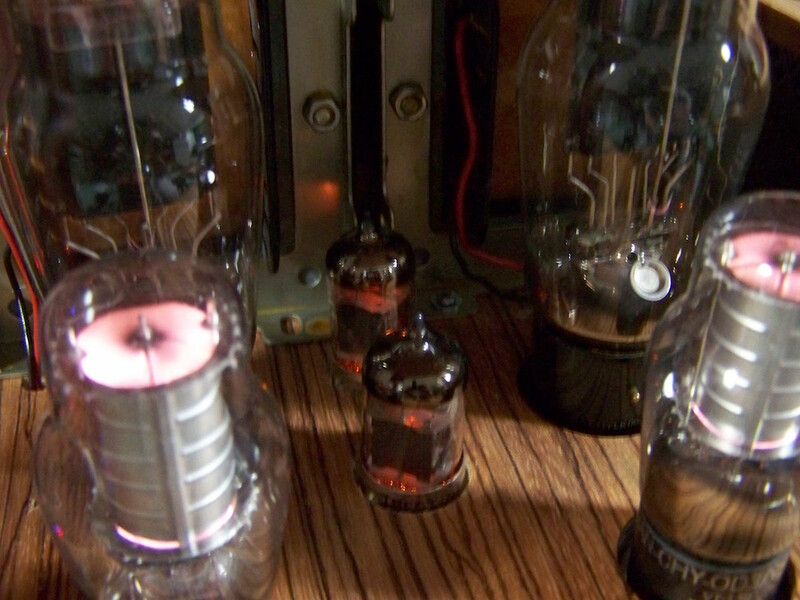 Both designs stack the tubes with the plate current for the driver being part of the plate current of the power triode. 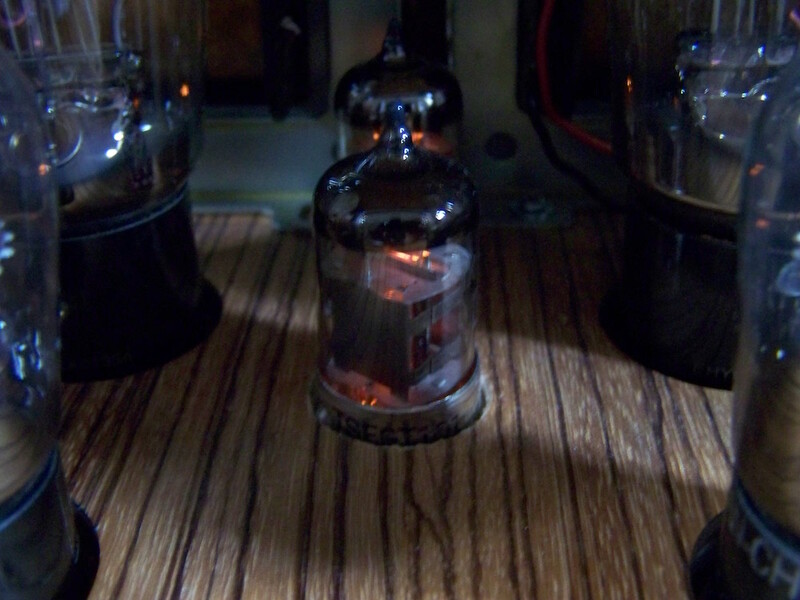 That would mean that 35mA for one channel would be sufficient leaving some headroom for the powertransformer. Great! Doing all the math beforehand? Well, to be honest, an educated guess was made to use the 7788 with a plateload of 4K7 at a 10mA plate current at a plate voltage of 100 Volts. 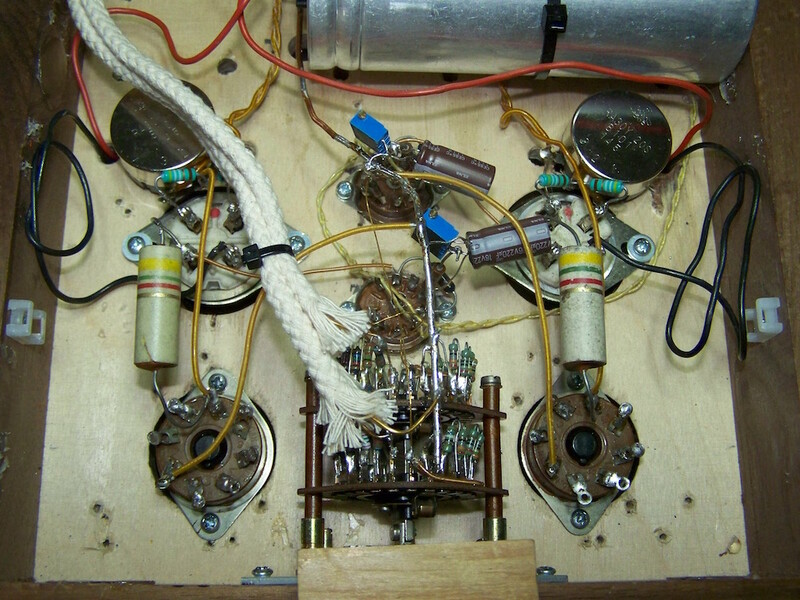 These numbers suited the "brilliant" idea to be able to use a voltage regulator tube as cathode circuit for the power triode. 10 mA through 4K7 results in 47 Volts, just about the bias needed for the WE275A to suit the 2K5 load. 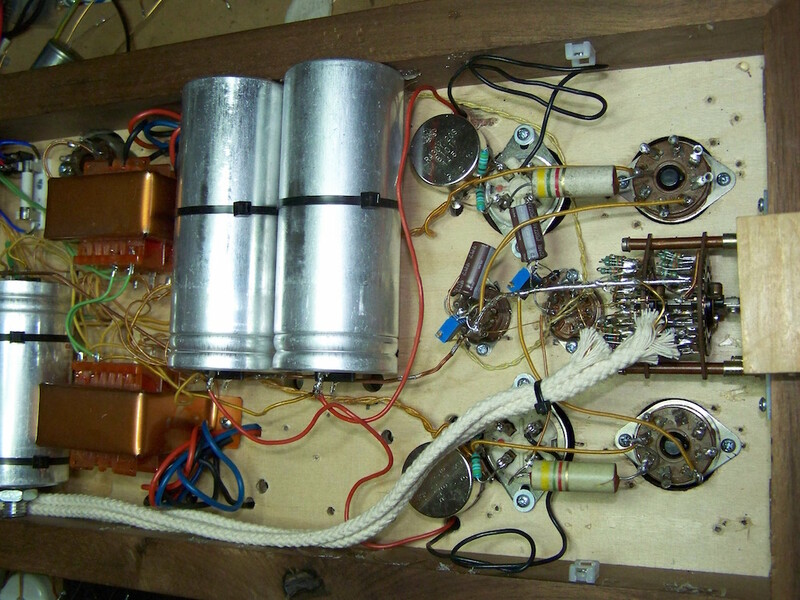 Add the needed plate voltage of 200 Volts to see that 250 Volts high voltage is needed and add the needed plate voltage of the 7788, 100 Volts, to that and the total needed high voltage will be approximately 350 Volts at 70 mA total. 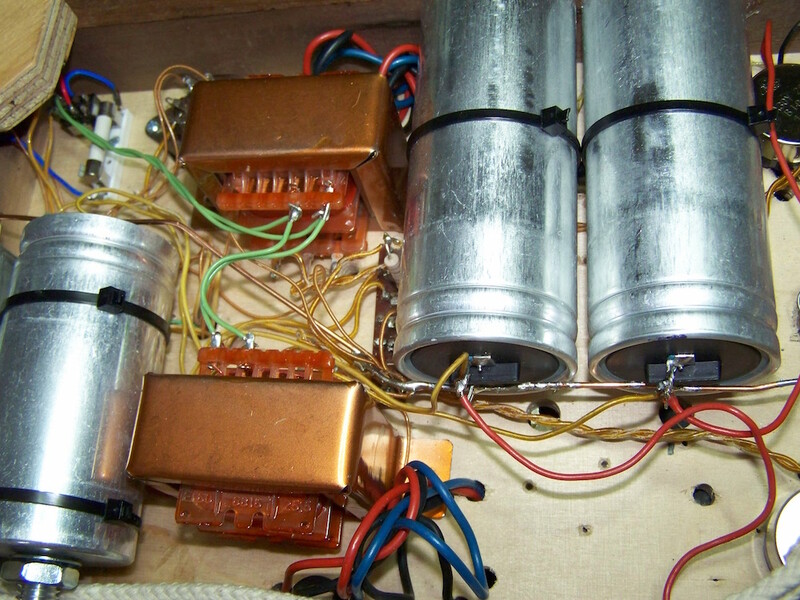 That is well within the power transformer specification. 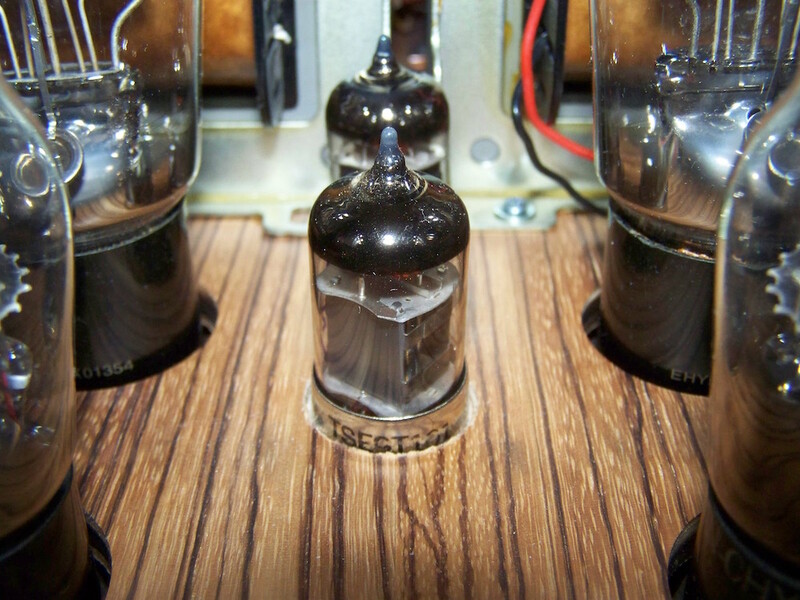 The wrongly aimed for operating point for the triode connected 7788.. Listening tests were promising but somehow not clean. Doing the math afterwards showed that the choosen plate resistor value for the 7788 was far too low, drawing the loadline made that clear. A replacement driver was found in the Russian 6E5P-I. Drawing the loadline at the needed operating point showed that this would do fine. 6E5P-I Loadline with a 4K7 plate resistor, biased at 1.6 Volt at 10mA.. The powersupply has to have a slow turn on character to protect the WE275A replica at switch on since the needed bias is provided by a voltage drop across the 6E5P-I's plate resistor. 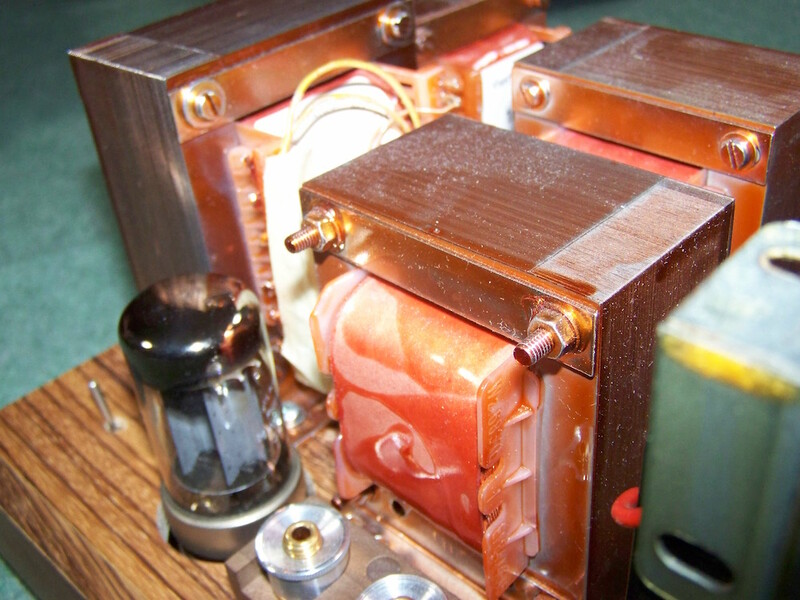 When this voltage drop does not occur, the WE275A replica will temporarily act like a diode; fully conducting current which will result in a shorter lifetime. When using the recommended indirectly heated GZ34/5AR4 this will be no issue as it will heat up as slow as the 6E5P-I does. So do not apply a directly heated rectifier or diodes without a switched delay of at minimum 20 seconds for the hgh voltage! 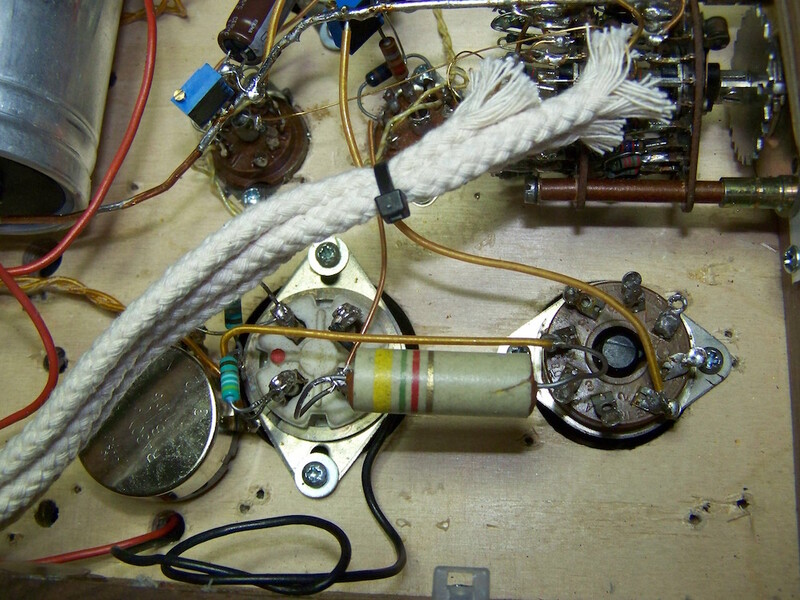 When the amplifier is switched on, after a few seconds the voltage regulator will ignite which can be heared through the connected speakers as a very mild "pop", nothing to worry about. 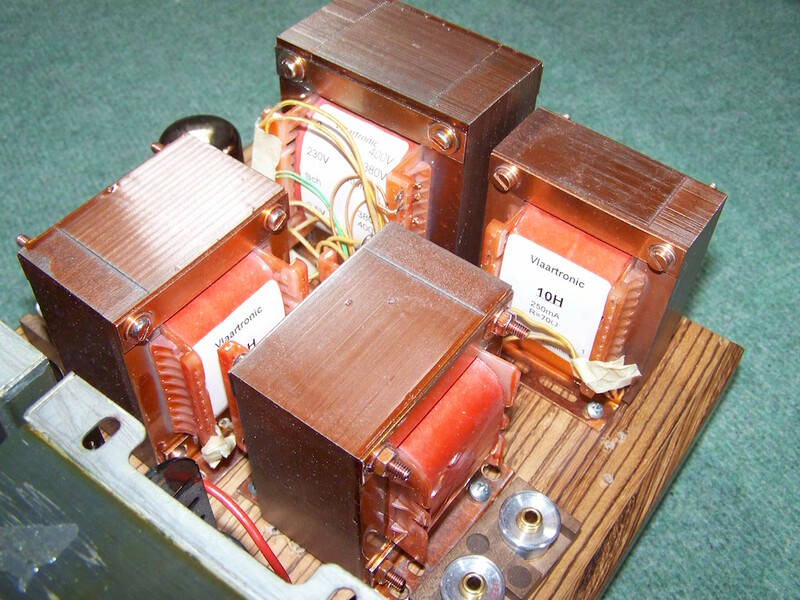 This design can be used as an integrated amplifier if modern line-output level is available (2 Volt RMS), otherwise a preamplifier might be needed..